Following a prison break, a bandit seeks revenge against the man that betrayed him. Over the years, I've attempted more than once to watch Marlon Brando's solo directorial effort, 1961's One-Eyed Jacks, but the previously available transfers were of such a poor quality I inevitably quit early on. Thanks to a glorious new 4K restoration and this release from Arrow Academy, I was finally able to catch up with one of the western genre's most divisive and infamous films. The story of One-Eyed Jacks' journey to the screen is the very definition of troubled. Originally worked on by both Twilight Zone creator Rod Serling and future western auteur Sam Peckinpah, adapting the novel The Authentic Death of Hendry Jones by Charles Neider, the script was set to be directed by no less than Stanley Kubrick, who was unhappy with Peckinpah's draft. When Brando was cast in the lead role, to nobody's surprise, himself and Kubrick failed to get along (talk about a clash of egos! ), and the director left the project, the script at that point having been reworked by writers Guy Trosper and Kubrick's Paths of Glory collaborator Calder Willingham. With no director willing to take over, Brando took the reigns himself, admitting later on that he had no idea what he was doing, though there's no evidence of such amateurishness on display in the finished film. It's said that Brando's initial cut ran over five hours, eventually cut down to a still hefty two hours and 20 minutes, but for all its bloat, One-Eyed Jacks is a simple tale. Following a bank robbery in Mexico, American bandits Rio (Brando) and Longworth (Karl Malden) find themselves cornered by the Federales with only one horse between them. The two agree for Longworth to take the horse to the nearest town and return with two fresh mounts, but Rio finds himself betrayed, captured and confined to a hellish prison. Five years later, Rio tracks down Longworth, who is now the Sheriff of Monterey, California, where he lives with his Mexican wife, Maria (Katy Jurado), and precocious step-daughter Louisa (Pina Pellicer). Rather than killing Longworth, Rio sets his sights on Louisa, planning her seduction as an alternative form of revenge. 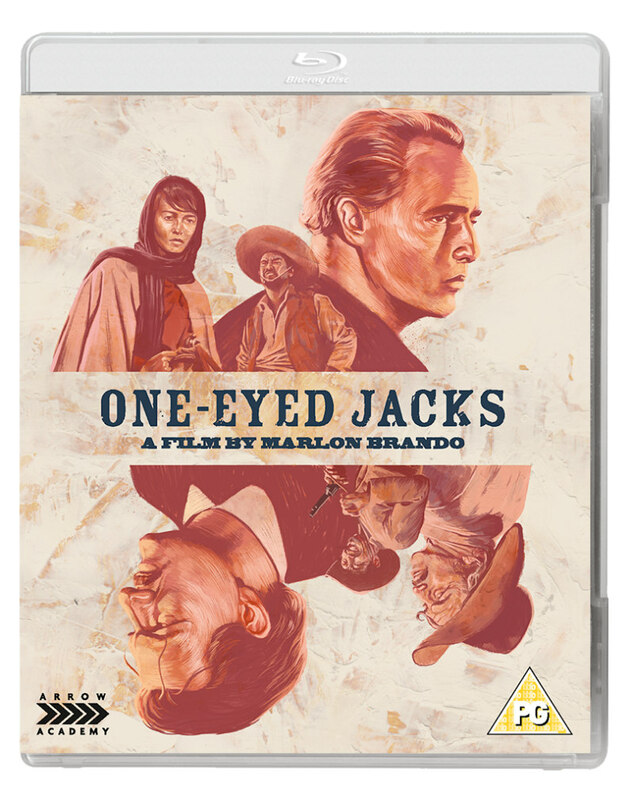 With the coldly womanising Rio, One-Eyed Jacks could be viewed as a confession piece from Brando, whose sexual conquests were so prolific he retained a private abortionist on call. The film's most intriguing scenes are those between Rio and Louisa, the latter given an agency unbecoming of westerns of the day. The standout sequence begins with Rio bidding for a locket from a female stall-holder at the town's fiesta. After initially declining an offer of $20, arguing the piece priceless because it was a gift from her husband, she eventually gives in when Rio raises the price to $30. Having used his money to degrade one woman, he then goes on to use his charm and looks to take advantage of another, seducing Louisa on the beach after presenting her with the locket, along with the lie that it was a gift from his grandmother. When Rio confesses his duplicity to Louisa the following morning, the young woman dismisses his suggestion that she might feel ashamed. "Save your shame for yourself," she defiantly retorts, and we get the impression she knew Rio's game, but was willing to play along to satisfy her own desires. Later, it's Louisa who saves Rio's bacon when his pride lands him in a jail cell. It's not difficult to assume this gender dynamic came from Peckinpah's draft, as his own later works like Bring Me the Head of Alfredo Garcia and The Getaway feature similar men who can't shake off their pride, finding salvation with women who have excised theirs. One-Eyed Jacks takes 141 minutes to tell a story the likes of Anthony Mann and Budd Boetticher would have gotten across, arguably more profoundly, in 75. Much of its middle portion drags along like the work of a creator who can't pull the trigger on his darlings. Maintain your patience and you'll be richly rewarded however, as there's much to admire here, from legendary cinematographer Charles Lang's sumptuous compositions to a fortifying performance from Malden as one of the western genre's more nuanced villains. And of course there's Brando. Made at a time when the actor was at a career and physical crossroads - his jawline as sharp and his stare as enthralling as ever, but his belly beginning to hang over his gunbelt - One-Eyed Jacks offers a rare intrusion of method acting into that most classical of genres. Thankfully, Arrow's disc offers a subtitle option - you may need it to decipher much of Marlon's mumblings. Commentary by author Stephen Prince; a 1996 Brando documentary with extended interviews with directors Arthur Penn and Francis Ford Coppola culled from the outtakes of same; introduction by Martin Scorsese; original trailer; reversible sleeve and collector's booklet. 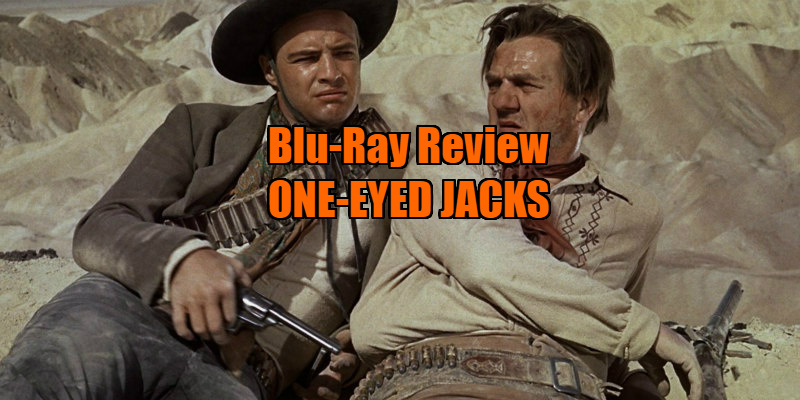 One-Eyed Jacks is available on dual-formet blu-ray/DVD from Arrow Academy June 12th.